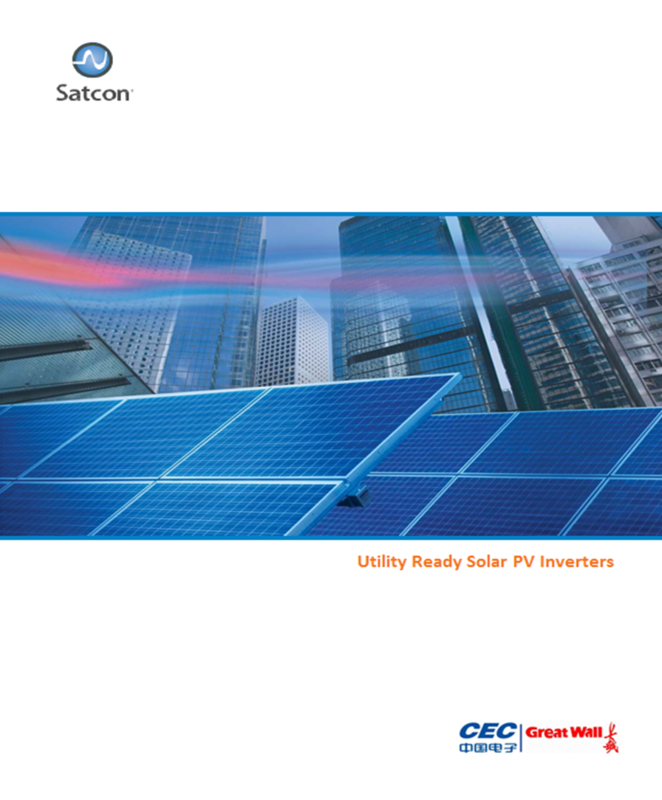 Satcon solutions are the world's most widely deployed Utility-Ready solar PV inverters--powering many of the world's largest and most advanced commercial and utility-scale installations. Satcon’s PowerGate Plus solution family is the world’s most widely deployed Utility-Ready solar PV inverter. Satcon Container Platform is the industry’s most advanced factory integrated, medium voltage package solution for utility-scale solar power plants. Satcon Container Platform is the world’s most complete utility-ready building block for multi-megawatt solar installations. Equinox is Satcon’s third generation central inverter and delivers an industry leading 98.7% peak efficiency. Setting the new standard for utility-scale solar power plants, Equinox maximizes system uptime and power production, even in the harshest environments. Satcon® offers the best-in-class technology for intelligent energy harvesting and power conversion. Built on a foundation of PowerGate® solutions, the world’s most widely deployed large-scale, Utility-Ready inverters, our experience comes with having hundreds of millions of grid-connected kilowatt hours delivered to date. Our technologies are consistently setting the standard for system value with advanced, reliable, efficient and innovative solutions.